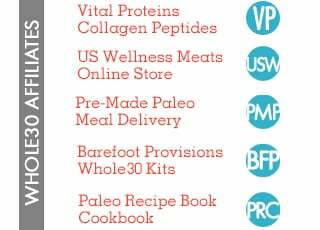 Are you planning a Whole30 compliant Passover Seder? 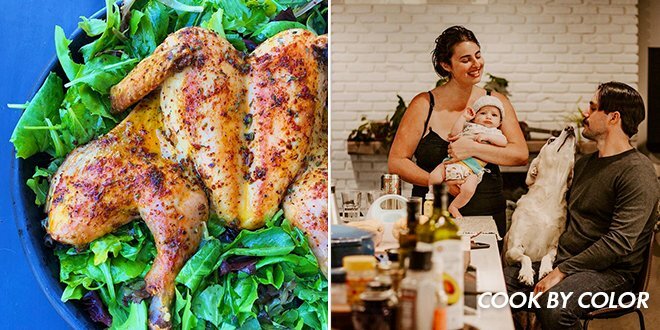 We collaborated with Whole30 Certified Coach Judith Forman on a collection of delicious springtime recipes for you to enjoy with your family, friends and guests. 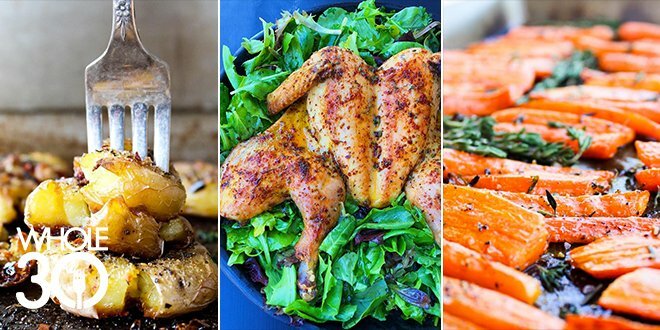 Pick a starter, main dish, veggie and side dish from the eight delicious recipes below to build your Whole30 menu.  Getting a head start on your Passover Seder plans? 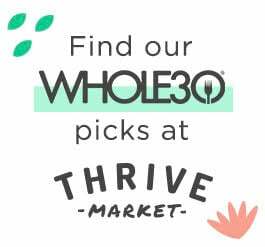 We collaborated with Whole30 Certified Coach Judith Forman on a Whole30 compliant recipe roundup. 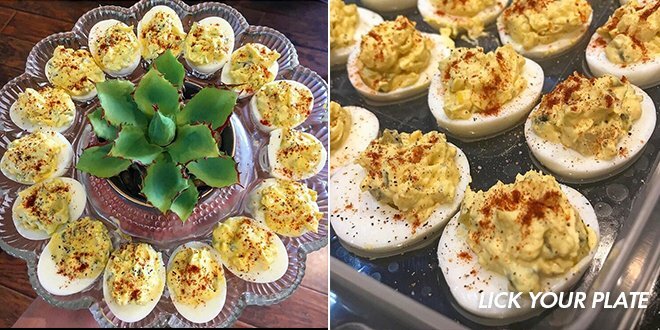 Deviled eggs are a spring staple, and this recipe for Family Tradition Deviled Eggs from Lick Your Plate is a classic. COMBINE Roma tomatoes, yellow cherry tomatoes, garlic, basil, olive oil, and salt in large bowl. Mix well and taste to determine if you want any additional garlic, basil or salt. 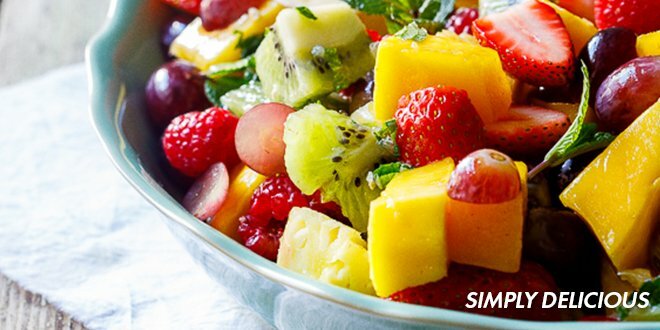 Let the mixture to sit for at least 30 minutes before serving. TAKE sliced eggplant and sprinkle salt on each side. Place in a colander and let sit for 15 minutes. Take a towel or paper towel and press each piece of eggplant to release excess water. LIGHTLY brush with olive oil. Grill eggplant on high (approx. 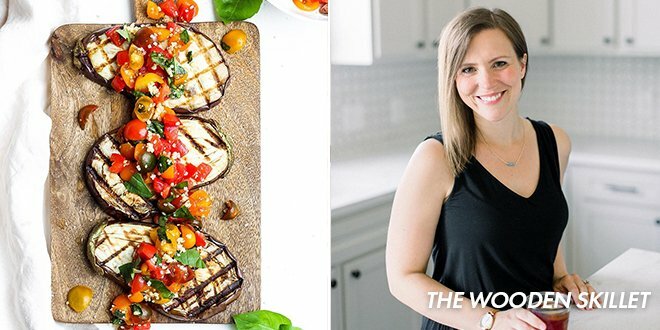 450 degrees) for 3 minutes a side (grilling time will be less if you are using smaller pieces of eggplant; just keep an eye on them). Serve eggplant immediately with tomato mixture on top. PREHEAT the barbecue to cook over low indirect heat by turning the outside burners on low, and leaving the middle burner off. Mix salt and spices together in bowl.⁣ Coat the ghee evenly all over the chicken skin. Sprinkle the seasoning evenly over the ghee-covered chicken. PLACE the chicken over the middle burner, set a timer for 45 minutes, keeping it covered until then. 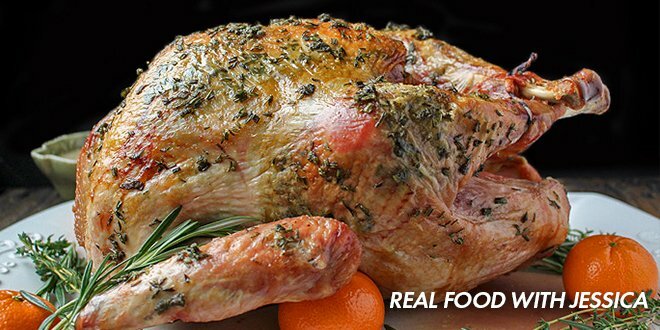 Remove the chicken once the skin is crispy and the internal temperature is 165 degrees. From Judith: I put turkey on this menu because that’s what my always family has. 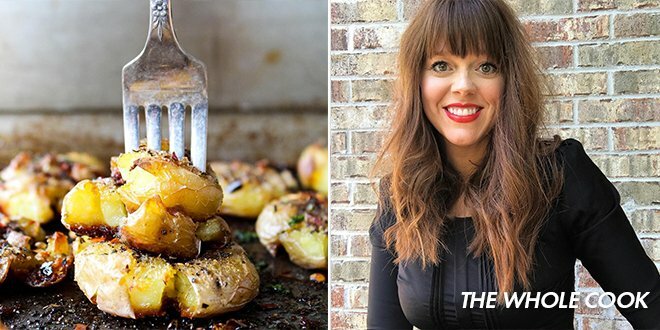 This recipe from Real Food With Jessica is a classic take on the dish. 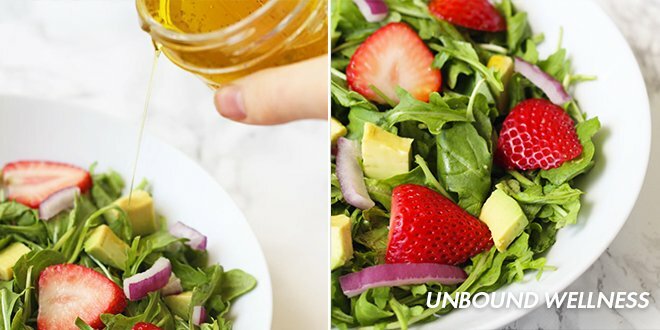 This Spring Strawberry Arugula Salad from Unbound Wellness is a celebration of spring flavors. PREHEAT oven to 400 degrees. Peel your carrots. Cut into sticks approximately 2 1/2 – 3 inches long and 1/2 – 1 inch wide. 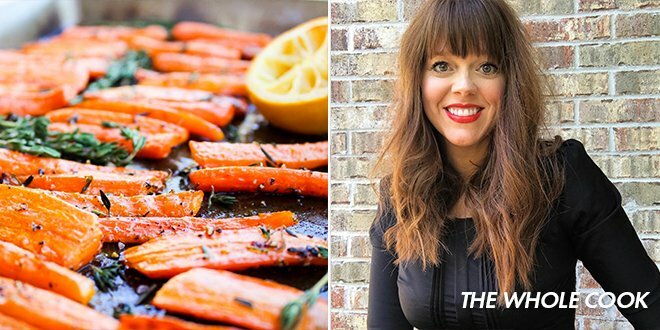 Spread your carrots in a single layer on a baking sheet. Drizzle olive oil and lemon juice on top of carrots. Sprinkle salt and pepper. BAKE for 25 – 30 minutes. Flip halfway through so both sides get nice and glossy. Carrots are done when they’re tender. OIL your baking sheet with olive oil (or another cooking fat of choice) to prevent sticking. SPREAD your potatoes in an even layer on the baking sheet. You don’t want one on top of another or they won’t brown as well. MELT your ghee in a microwave safe dish or on the stove. Stir the garlic into the ghee. Pour your ghee/garlic mixture over each potato. Sprinkle all Italian Seasoning ingredients over the top of your potatoes. BAKE for 20-25 minutes. (25 minutes works best for my oven.) Remove from the oven and add fresh chopped parsley (optional).